Dina Litovsky’s work examines social performances and group interactions in both public and private spaces. Dina was born in Ukraine and moved to New York in 1991. After receiving her bachelor degree in psychology from NYU, Dina turned to photography and earned a MFA degree in photography from the School of Visual Arts, NY in 2010. Dina’s work has won many awards, including Poyi 74, American Photography 31, NPPA Best of Photojournalism, PDN Photo Annual, and the International Photography Awards. 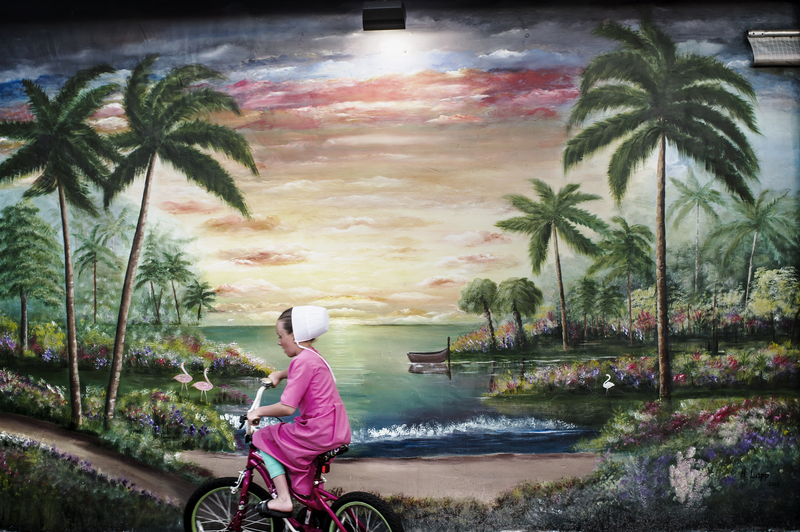 In 2014, Dina was selected for PDN’s 30 New and Emerging Photographers to Watch. Her series Vacation was awarded by The Fence [2018 NATIONAL]. The FENCE is an annual call for entries to be part of the largest outdoor photography exhibition in North America, with public exhibitions in Brooklyn (NY), Atlanta (GA), Calgary (Canada), Houston (TX), Sarasota (FL), Seattle (WA), Boston (MA), and Denver (CO). Photographers of all levels from around the world are invited to apply online at fence.photoville.com. Your photography examines social performances and group interactions in both public and private spaces. What made you focus on this? My initial interest began when I was studying psychology at NYU; I concentrated on social psychology and was most fascinated by the ideas of social dynamics and group behavior. After I graduated and switched career path, I left that behind and didn’t see how photography related to it until my MFA graduation series, Untag This Photo, where I explored the exhibitionist behavior of women in a party context. At that point, I realized I could flawlessly put together my previous interest in psychology with photography and this was a sort of a eureka moment. Such themes have been the foundation of my work ever since. Can you tell our audience more about the series Where Do the Amish Go for Vacation? The series began as an assignment for the New Yorker, initially a weekend shoot in Pinecraft, Sarasota Florida. Pinecraft is a tiny community that began back in the 1920s as a tourist camp and then started attracting Amish and Mennonite families from all over the United States and Canada. Since then, it has grown to a few thousand visitors per season, which lasts from November to March. Some travelers arrive by plane; others go on a 24-hour bus journey from Indiana and Ohio. Pinecraft has become a place of leisure where all denominations of the Anabaptists come together to enjoy great weather and recreational activities. 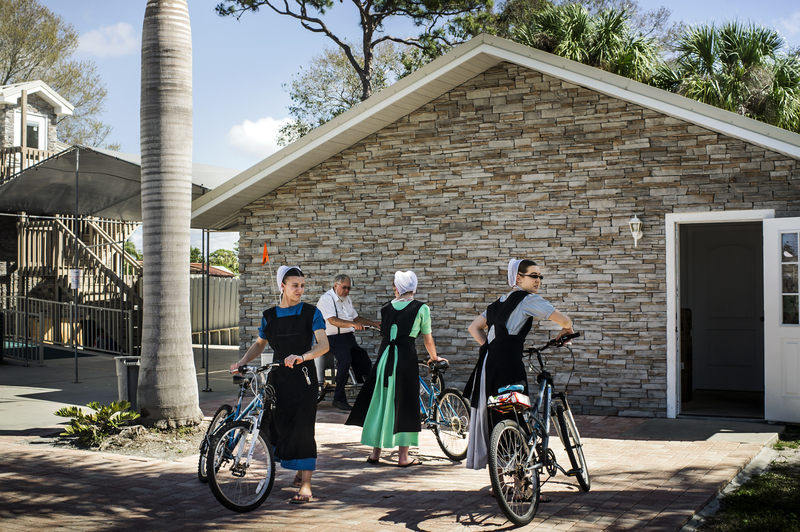 Coming to Sarasota, my ideas about the Amish and Mennonite communities were formed from what I saw in the media - the prevailing images of traditionally dressed men riding horse and buggy or families hard at work at the farm. The common expectation that the Anabaptist communities shun the camera created anticipation of a stressful and difficult shoot. The reality was very different. Almost everyone I met was friendly, curious about what I was doing and happy to engage in conversation. My goal was to ask a lot of questions to understand the community better. I especially wanted to avoid the existing visual tropes. People that I spoke to were excited about Pinecraft not just as a vacation spot, but because it’s a place where they can mingle once a year with other Amish and Mennonite travelers. Since most live on isolated farms back home, the contact between communities is sparse and Pinecraft presents an opportunity for city living, with plentiful public activities. This helped me crystallize my approach to the story, concentrating on groups of people interacting on the streets. 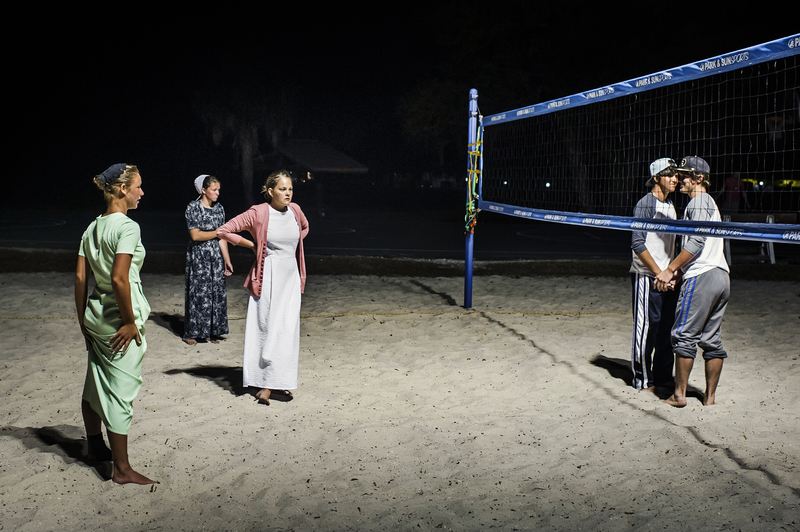 How do you feel your images help audiences understand the Amish community? 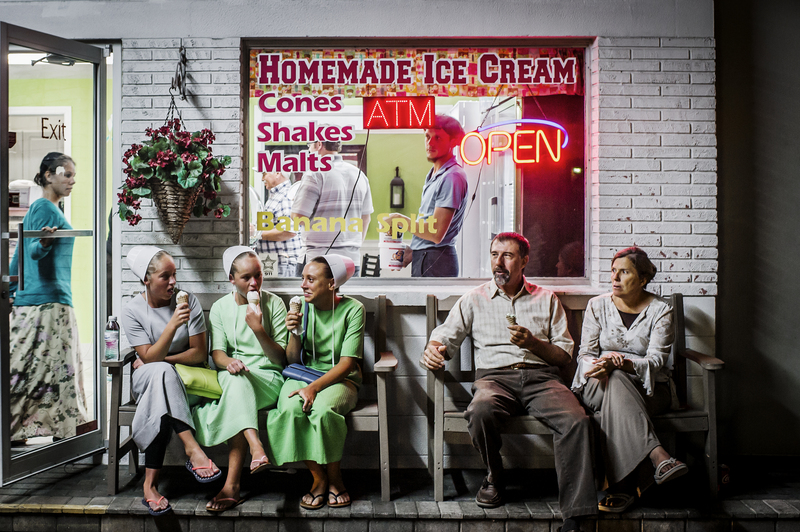 Pinecraft is a unique space where a lot of preconceptions about the Amish and Mennonite community are overturned. A group of people that we usually associate with hard work and austere lifestyles engage in leisurely pursuits – volleyball, board games, riding bicycles and potlucks in the park. It’s these banal activities that help to humanize this reclusive community, presenting a bridge between ‘us’ and ‘them’. What advice would you give to those wanting to get into photography? One quote that I always keep in the back of my mind is ‘think globally, act locally.’ It has helped me narrow down stories where I have something personal to say, rather than go for overreaching, popular photography trends. There is no subject that’s too small to be photographed, as long as it offers an interesting perspective. Figuring out exactly what that personal topic is can be tricky, but I feel that it’s crucial to do something rewarding in this super competitive, over-saturated field. More of the Amish! I already went back this winter and I am planning another trip soon.